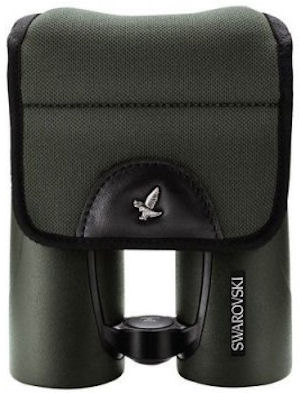 The Swarovski BC Rain Guard is light and looks good on your binoculars. 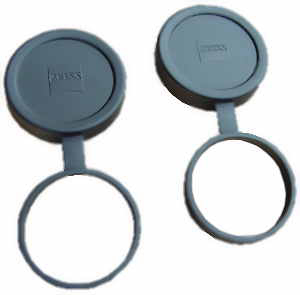 Binocular rain guards and tethered objective lens covers are available in a range of lens sizes and for a variety binocular models – just in case your binocular didn’t come with covers or a rain guard, or in case you may have misplaced or lost one. Some models are interchangeable between different models and brands of binoculars. For example, the Swarovski BG Bino Guard offers protection from rain, snow dust and environmental debris for a variety Swarovski binoculars including SLC, EL and some EL Range models. The front of the guard has a transparent pocket for storing a lens cloth, ID card or other small accessories.